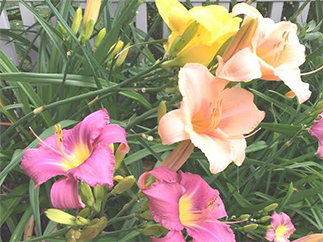 The North Andover Garden Club is a non-profit organization whose members are actively involved in a wide variety of club activities and projects in North Andover. 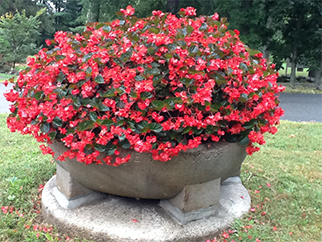 Our mission is to encourage an interest and active participation in civic beautification, horticulture, flower arranging, and conservation in North Andover, Massachusetts. The North Andover Garden Club was organized in 1920 and federated in 1927, making it one of the oldest federated garden clubs in Massachusett. The North Andover Garden Club sponsors many community projects including planting and maintaining gardens at the Parson Barnard House, the Patriots Memorial Park Fall and Spring Clean-up, Preparing and Distributing Holiday Wreaths to Town Departments, Garden Therapy Activities, Monthly Programs, and our Annual Plant Sale at the North Andover Middle School, which is scheduled for Sunday, May 19th! View beautiful Amaryllis plants that many of our members purchsed for enjoyment during the holidays in our Gallery of Members' Gardens. View: Caring for Amaryllis after Flowering! We always welcome new members! Come to one of our public meetings which are held September through June, on the second Tuesday of the month at St. Michael Parish Hall, Main Street, North Andover. View our Events section for our current list of programs open to the public. If you are interested in joining the North Andover Garden Club, click on Membership for more information. View the Club's Facebook Page!